To take full advantage of festive season, Hyundai Creta has advanced its launch date to July 21 of this year. The move was confirmed by Mr Rakesh Srivastava who is the Senior Vice President of sales and marketing at Hyundai Motor India Ltd. (HMIL). Similar advancement of launch date helped one of its cars Grand i10 to make the most out of festive season and Hyundai hopes to repeat the same for its upcoming Creta. The car was first launched in China under ix25 nameplate, the compact crossover SUV adopts Hyundai’s modern design language inside out. At 4.27 m, the vehicle doesn’t qualify for Indian sub-4 metre norm but a heavily localisation of over 90% in India should keep the costs competitive. The drive train of Hyundai Creta shall be borrowed from Hyundai Verna 4S that means 1.4 and 1.6 litre petrol and diesel engines would be mated to manual and automatic transmissions of the car. The car is expected to be launched as FWD variant in India. Hyundai Creta is directly going to take on other compact crossovers in India like Renault Duster, Nissan Terrano and Maruti S-Cross. Hyundai Creta shall offer lot of advanced features like multiple airbags, ABS, EBD, touchscreen infotainment system, climate control, foglamps, alloywheels, LED daytime running lights and much more. 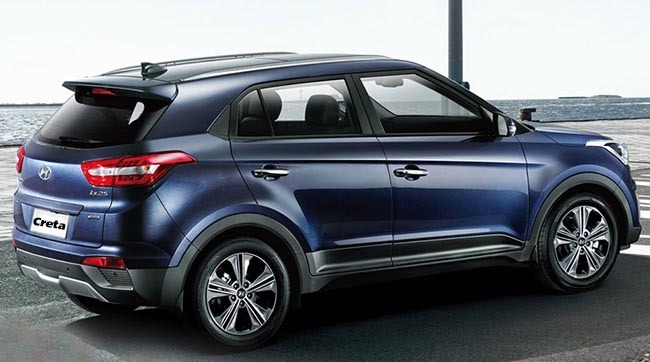 The estimated price of Hyundai Creta is expected to be within 8 lakhs to 12 lakhs in India.